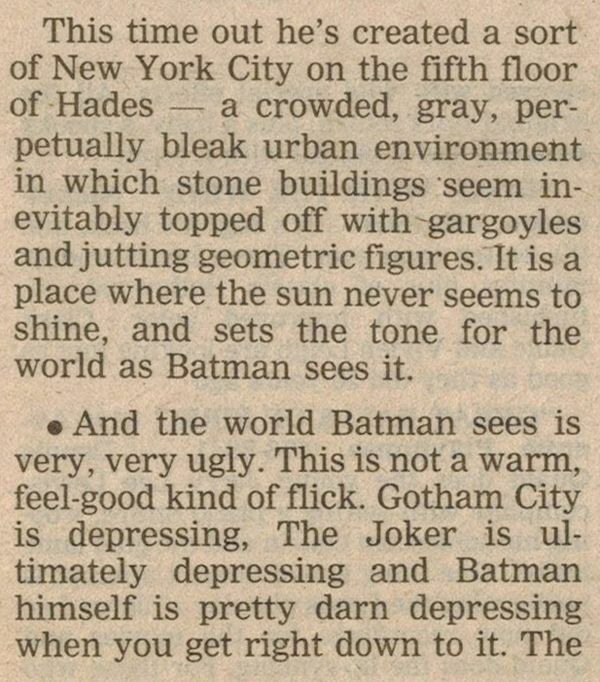 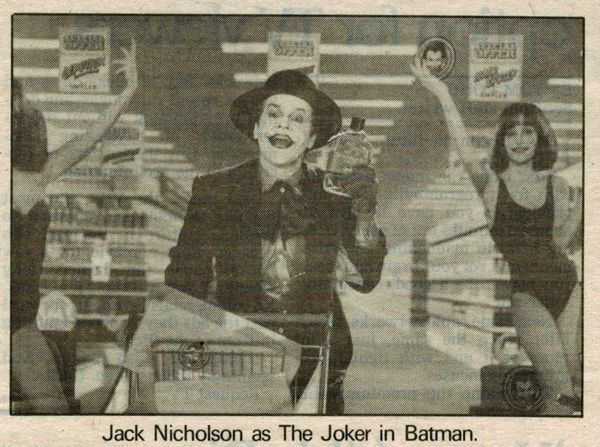 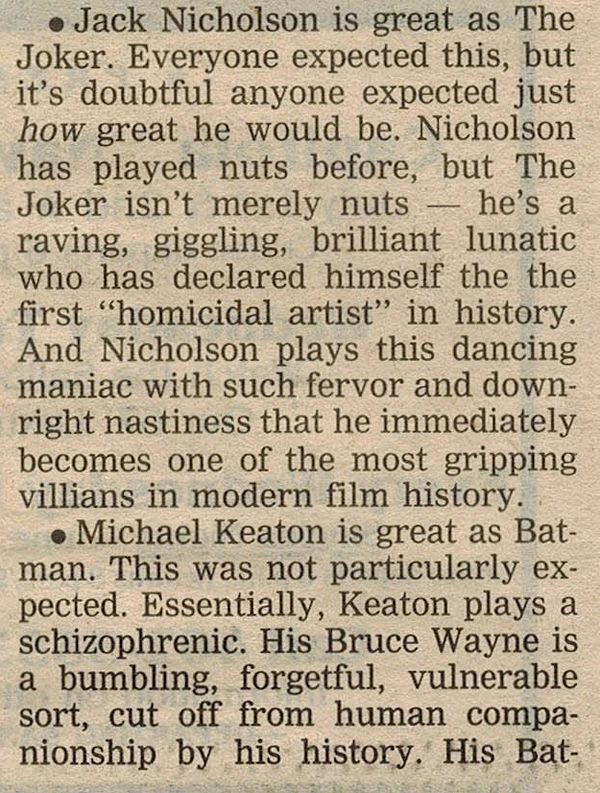 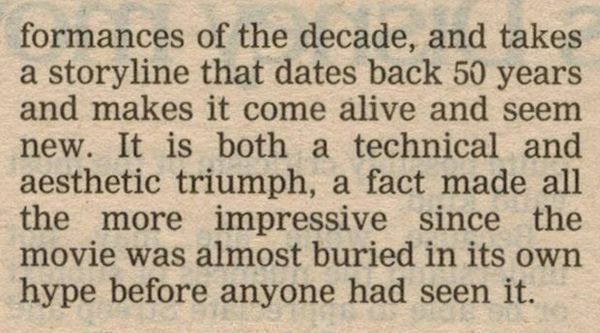 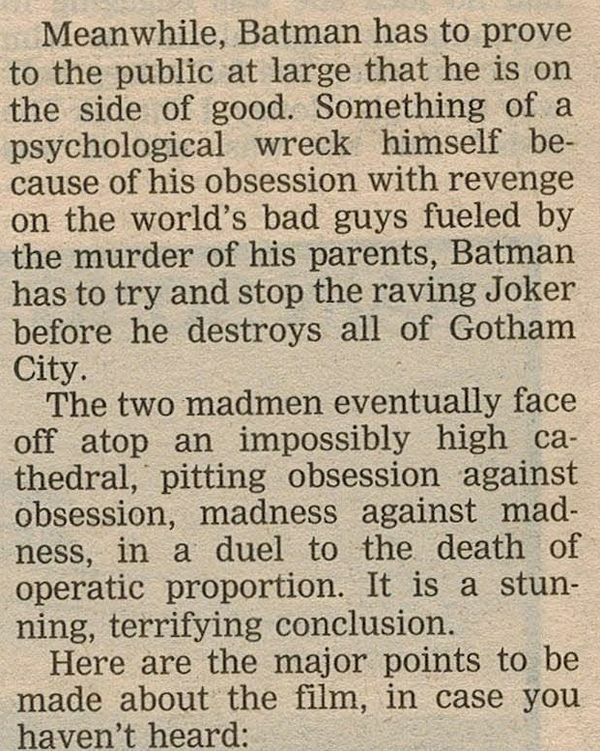 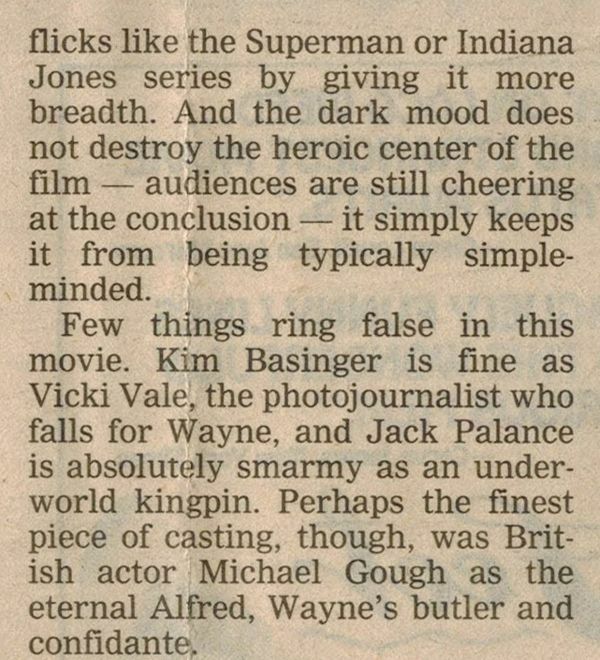 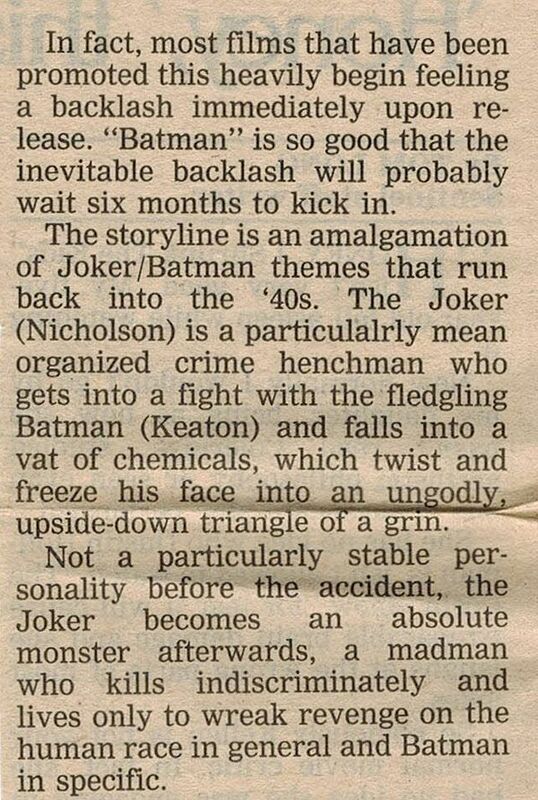 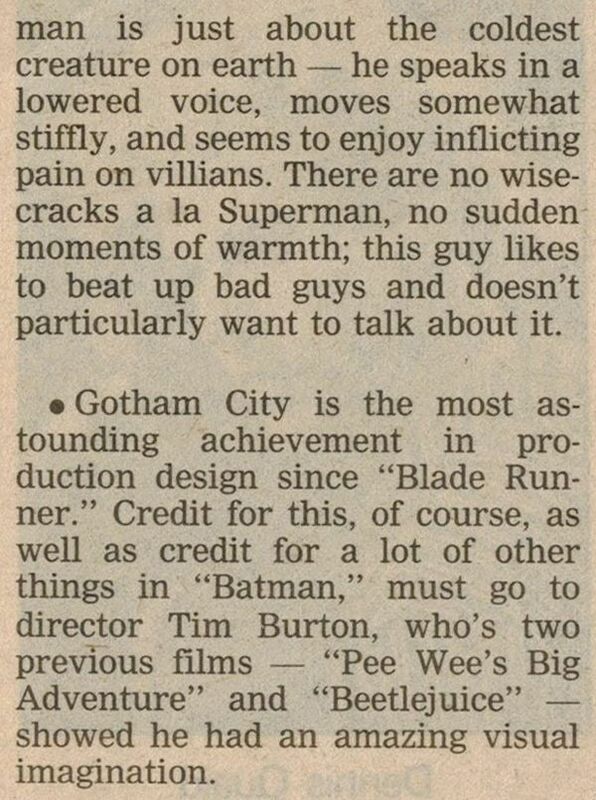 "Despite The Hype, Batman Soars..."
This write-up from the June 30, 1989 edition of the Santa Cruz Sentinel offers one of the most understanding reviews of the film that I have ever read. 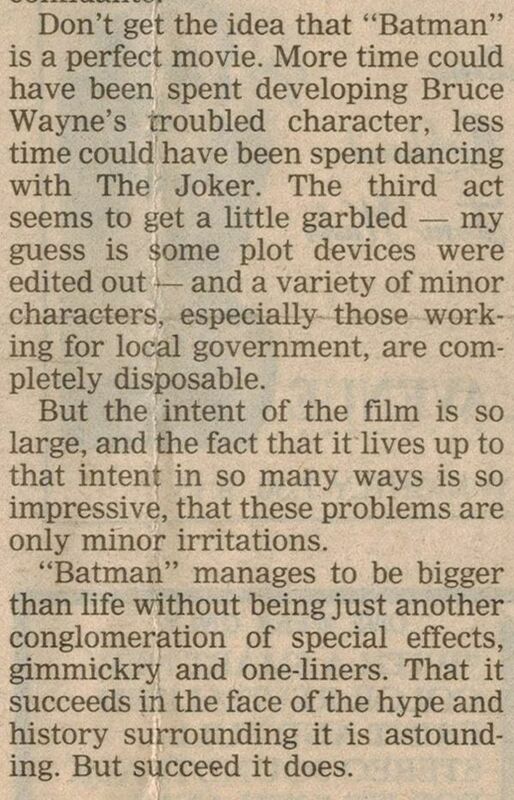 No silly biffs, bams, or pows, as writer Tom Long really seems to "get" what the movie set out to do. 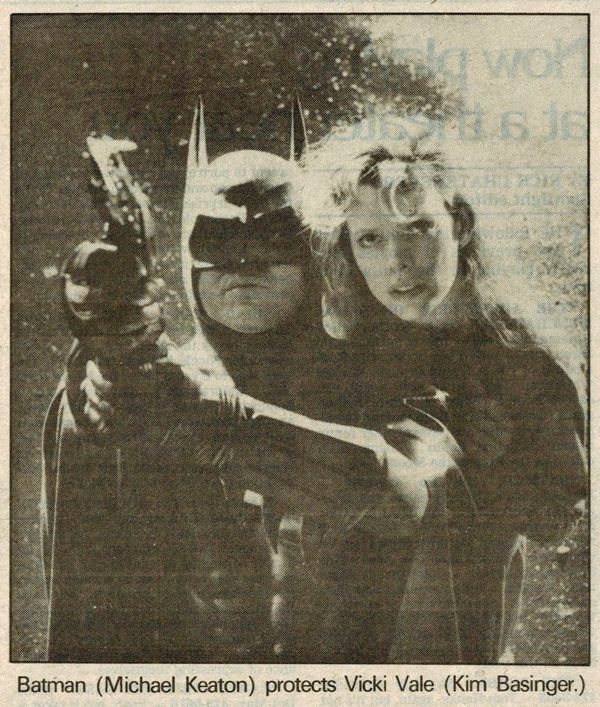 And his opening words- "This will go down in the annals of film history as the year that Batman was released" -were appropriately prophetic; I truly cannot think of 1989 without immediately connecting it to Batman.